Save Vs. Dragon: 40% OFF SITEWIDE AT LULU! This offer is valid until the end of day, November 4th. I believe it's "one use only," but I have not been able to confirm. 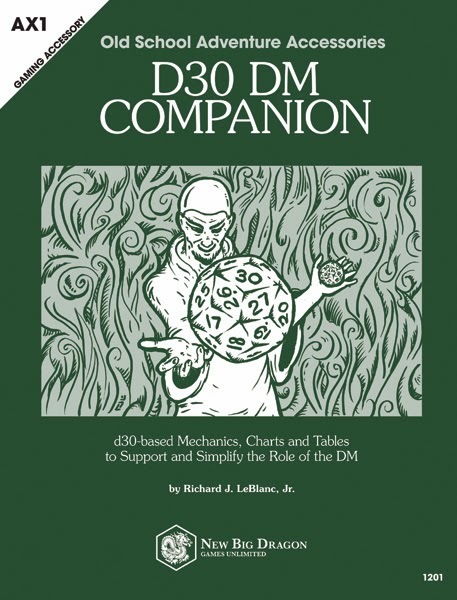 The d30 DM Companion is an indispensable OSR aid for any DM that wants to keep on top of his game and ahead of his players. Whether stocking a dungeon, looking to breathe new life into a campaign, or just struggling to keep up with players, this compilation of d30-based mechanics, charts, and tables will support and simplify the role of the DM/GM at the tabletop. Inside these 30-something pages you’ll find a host of d30-based resources for quickly creating characters and stocking dungeons. While the majority of the charts and tables in the book are generic to dungeon settings, monster descriptions feature details for 1e and BX comparable games, including AD&D, BX D&D, Swords & Wizardry, OSRIC, and Labyrinth Lord. This mongol-inspired module is designed for use with 0e/1e/BX and compatible retro-clones in a single edition. It supports sandbox style play but includes several traditionally detailed adventures. 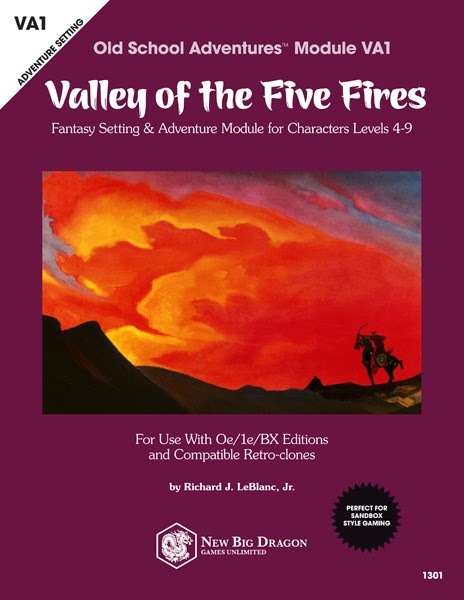 Includes: a history of the Lands of the Five Fires; an area map; hordes/tribes information; new steppe shaman character class; details on armor and weapons common to the area; 10-detailed NPCs & stats for 24 others; maps and details for the 2 major settlements; 4 new monsters & overviews for 29 others (+ a 1-page "monster index" with stats for the DM); wandering monsters by terrain; Quest of the Luuzhin Coins (including adventure seeds, maps and detailed encounters for 9 major locations in the quest); over 30 adventure seeds for other adventures in the area; 4 new artifacts/magic items; information to aid the DM in creating encounters throughout the Lands of the Five Fires, including nomad camps and religious sites (stupas and ovoos)... and more! 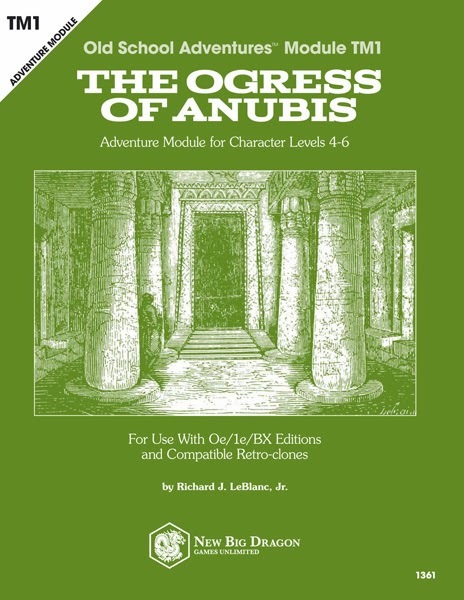 An old school RPG module for character levels 1-3; for use with 0e/1e/BX and compatible retro-clones. Recently, children from the villages around the Temple of Ptah in the Lower Plains have begun to disappear. Rumors abound that the high priestess Azeneth is sacrificing them and cannibalizing them because she believes this will make her wealthier, more powerful, and more divine. The people of the villages have begun to refer to Azeneth as the “ogress of Anubis,”—believing it was Anubis himself that made this woman mad, and commanded her to consume the children she sacrifices. Someone must end this reign of fear and terror, and try to return the children alive—if it is in the will of the gods. Just so you know, it's definitely not "one use only" - I've used it twice already.